This beautiful gown is all about stunning beadwork! 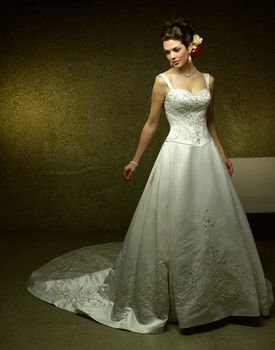 Dreamy swirl motifs decorate the bodice and entire hemline. 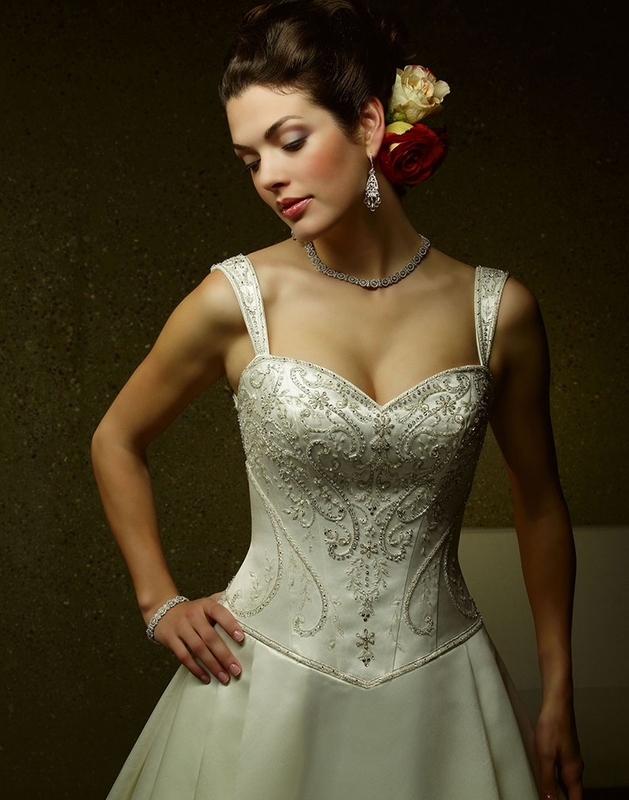 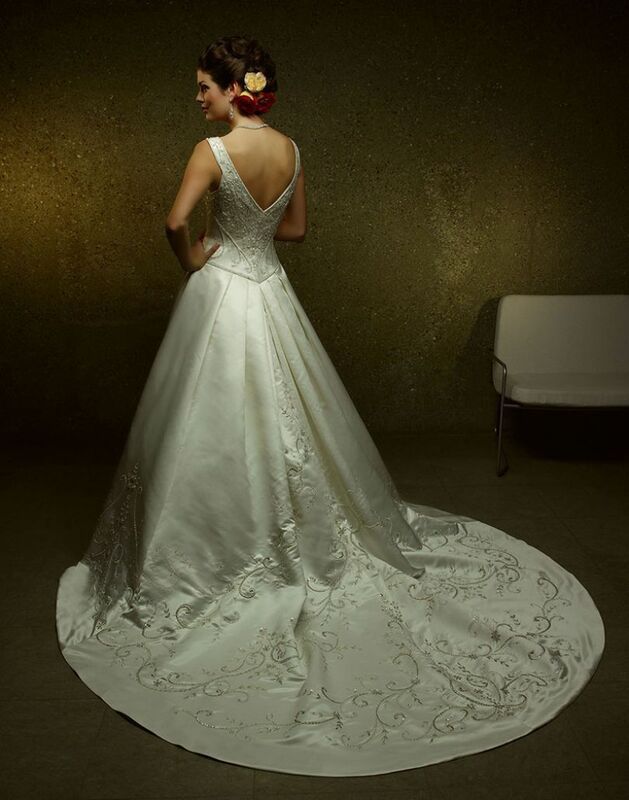 True sweetheart neckline, basque waist and wide straps are accented with beads. Half box pleats on front and back skirt give fullness and grandeur to the cathedral train.